I have this particular ship as part of the raiding pirates, and it's quite devastating when it attacks your planet. It has an ability which will make the ship "Disappear" after 8 minutes so that the pirate base doesn't fill up with these fiends! I can send you this ship if you want but the only problem is that I don't have the textures set-up. I'm new to modelling and the geometry is too complicated to uv stamp for me at the moment. So the in game shots are of the model with not textures. However, all necessary Null points are in. I hope that isn't a problem for you to fix. Let me know if it interests you. I am always interested! Looks good! I like all of them very much (espescially the one with the sharlin). If you don't mind, I'd like to have some 'action' scenes as well if possible (some ships firing into the cam or onto another ship, infight between q'quan cruiser and Vorchan or something like this. Thank you so much SteinerX!! A couple of loading screens uploaded ... not too keen on 4, will play around with that one later. Tobiwahn, do have an EA Omega (minus the rotating section) And The rotating section minus (EA Omega hull) in 3ds format? I'd like to use it in some artwork for the mod but the Omega I have has only a NON rotating section??? As of now, I do not. TFL BigBANGtheory has one, but as of now, he has not offered me. If you send me the model though, i will seperate the sections for you if easily possible! The screens I like very much. As a sidenote on loadingscreen 4 though, you should try to use no nebula on some, as the contrast will make the picture more intense. Also, if you arrange the ships so that one casts a shadow onto another there is more perceived depth and momentum. When we have all the screens I will include them in the next release! Thanks and keep up the good work! Agreed, the critisism is good, I'll make the changes. Personally I would recommend you steer clear of the Omega for the time being, its just a very unfriendly ship design for SoaSE where as other B5 ships are fine. I know its an iconic ship and if you are intent on doing it now I will try to guide you with the hull animation if needed, I took a quick look at the Celestia model link and as long as you can convert it and reduce the polycount it will work. What you need to do is as already mentioned remove the central hull section and save it as a seperate mesh for the particle system. You will then use the particle system to re-introduce the mesh back to a particle emitter where the central point is with a rotational effect. Yep. Thanks. I intend to redo the mesh on a basis of about 10 to 20k polygons. Will fake some time though, other models are to be made first. Thanks again for the help. Nice glad to see someone is working on this project, have any ideas when it will be release/playable? That cool, i'll wait til it complete. One more questions, how big will the systems will be (IE: 10/20/30 systems)? Cuz i like to play long campaign. Me too. 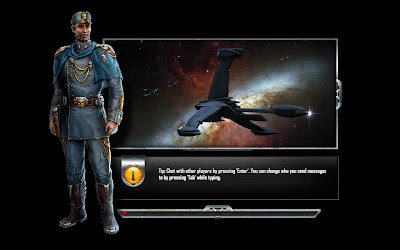 You should try the Babylon 5 Galaxy map, found somewhere on the forums! It gives epic gameplay! Thanks BigBANGtheory would be nice to have your guidance, have been waiting to play Sins with an Omega since you first created your Omega vid. for Sins. back in April 2008! i played the mod, whats there and it's not bad, keep on going. now, if some could just mix star trek, babylon 5, and stargate into one, that would make me happy. TobiWahn: I can get the loading pictures in-game, but how do I change the main character? You can find the character pictures in the texture folder for Sins called: "Startup_Loadscreen0"
I don't know if you would be able to do more than the three characters already provided. Although there is space for one more on the file it might just be a matter of finding the co-ordinates for the fourth character and adding that in somewhere. Is there some coding required to do this properly? Alpha channel ... and hows that done?